Wisp away your loved one to any of these majestic destinations and shape a lasting memory together, an experience which will warm your heart for many years to come. We’ve listed everything from party meccas to sprawling untouched natural wonderlands. Whether you are a foodie or a thrill-seeker, we’ve got the perfect place for you. Here’s a look at the top 20 romantic destinations from around the world. 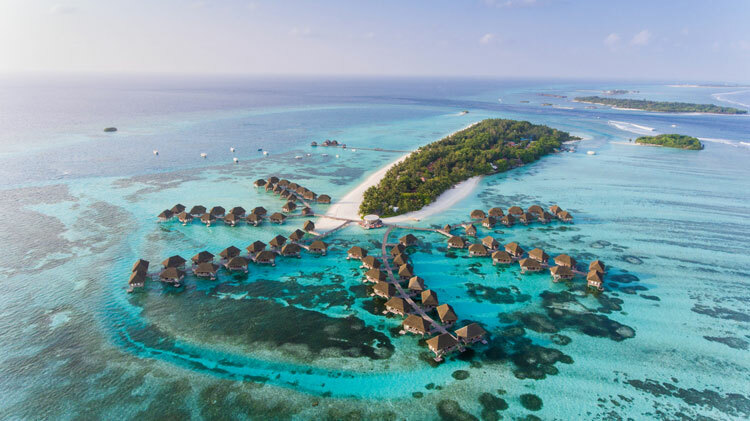 The Maldives comprises over 2000 islands found below the coast of India and Sri Lanka. It’s extremely easy to get into the Maldives, with each visitor receiving a free 30-day visa on arrival. You can look forward to amazing biodiversity, crystal clear waters, and the planet’s most beautiful reefs. Getting around will usually take a boat, yacht or private plane. Water-borne taxis are the most common. You’ll find prime fishing areas, luxury restaurants, watersports, and tucked away romantic beaches. There’s always something to do and see here. If you feel like it takes too long fro you to get there, take a look at the next place on the list! Need a Gift for Mother's Day? Here's our Top 15 Picks!